What a joy it is to be able to post this work! 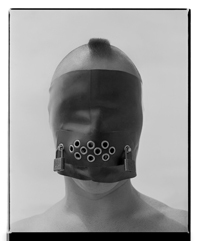 Bellows is one of my favourite artists. The energy and vigour of his work is outstanding, whether it be crashing waves on a rocky shore, the straining musculature of the male body in the boxing paintings and drawings or the more subtle renditions of colour and atmosphere in his portraits and cityscapes. There are hints of the darkness of Goya (especially in the painting The Barricade, 1918 / Francisco Goya, The Third of May 1808, 1814), the frontality of the portraits of Bronzino (with an added air of vulnerability) and, towards the end of his life, portends of what might have been had he lived – the simplification of line, form and colour in works such as Dempsey and Firpo (1924, below), reminiscent of, but distinct from, the work of his friend Edward Hopper. Bellows use of colour, light and form is extra ordinary. His use of chiaroscuro is infused with colour and movement, the volume of his modelling of the subjects depicted transcending their impressionistic base. The “shading” of his work is as much psychological as physical: the looming darkness of the buildings in Pennsylvania Station Excavation (1909, below), the churning foam of the desolate sea shore or the pensive look of Emma in the Purple Dress (1919, below). His understanding of the construction of the picture plane is exemplary. 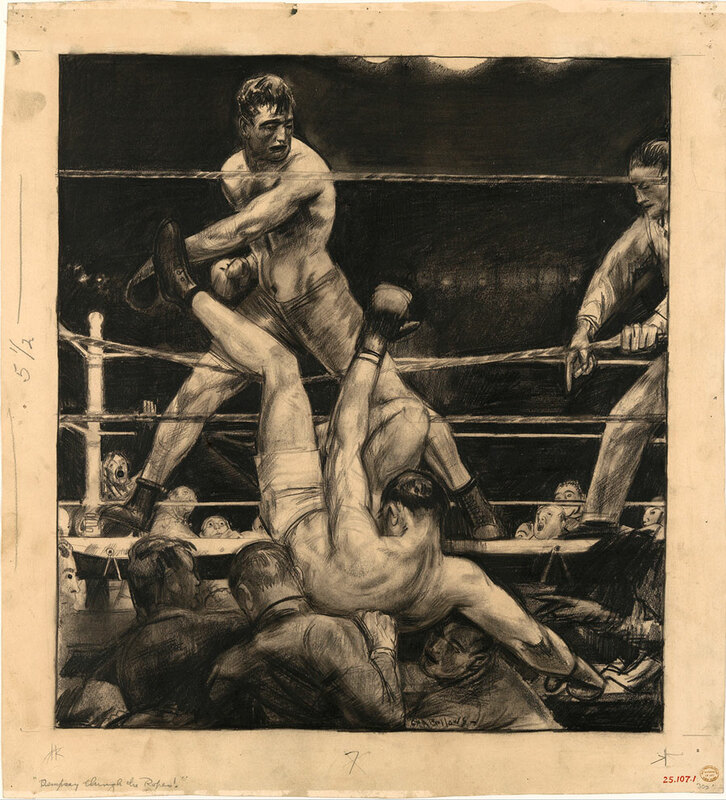 Note the use of diagonals and horizontals used in the construction of most of his paintings and drawings, especially the upraised hands, extended feet in his boxing portraits. One can only wonder what this incredible artist would have achieved had he lived into the 1960s like his friend Edward Hopper. For me he remains an absolute hero of mine. From the first time I ever saw his work (and I have only ever seen it in reproduction, imagine seeing it in the flesh!) I fell in love with his sensibility, his love of the world and the people in it. I cannot explain it more fundamentally than that. A love affair where his work touched my heart and that, really, is the greatest compliment that you can give an artist. That their art moves you. Many thankx to the National Gallery of Art, Washington for allowing me to publish the reproductions of the paintings in this posting. Please click on the photographs for a larger version of the image. 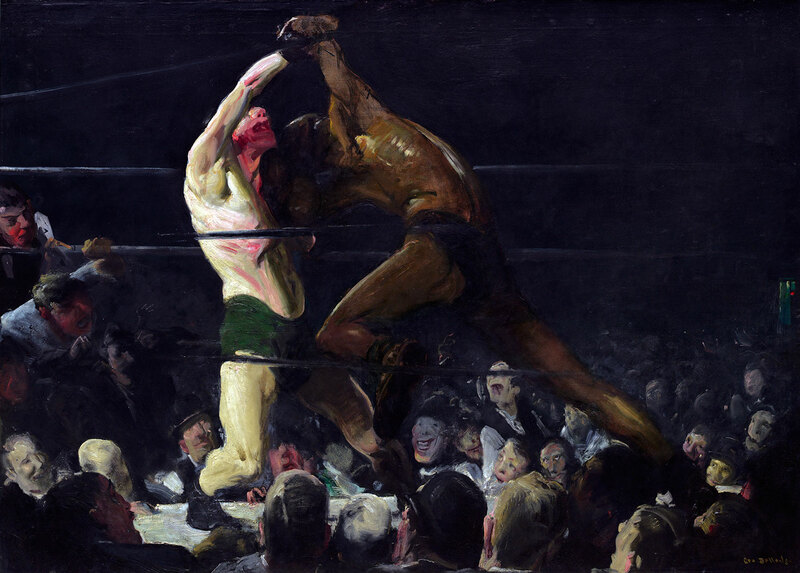 “When George Bellows died at the age of forty-two in 1925, he was hailed as one of the greatest artists America had yet produced. 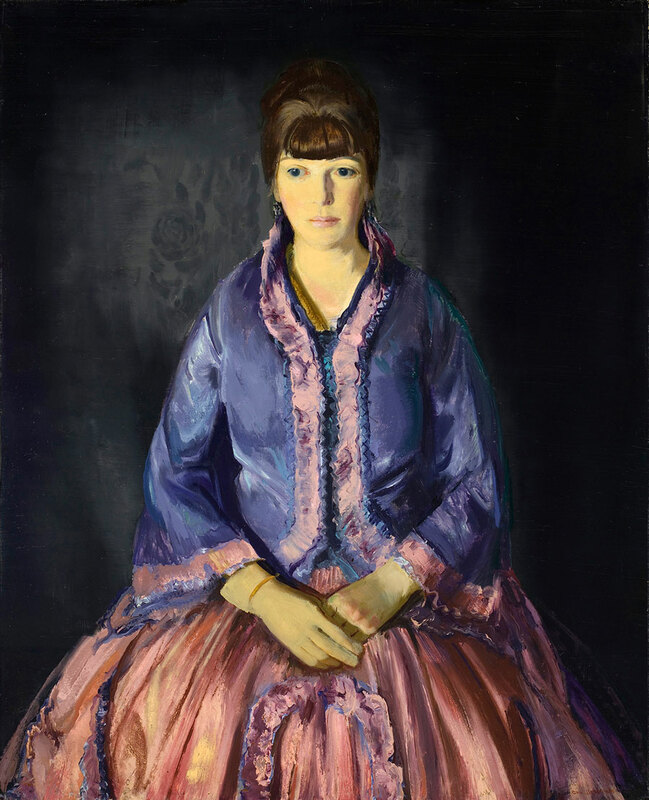 In 2012, the National Gallery of Art will present the first comprehensive exhibition of Bellows’ career in more than three decades. 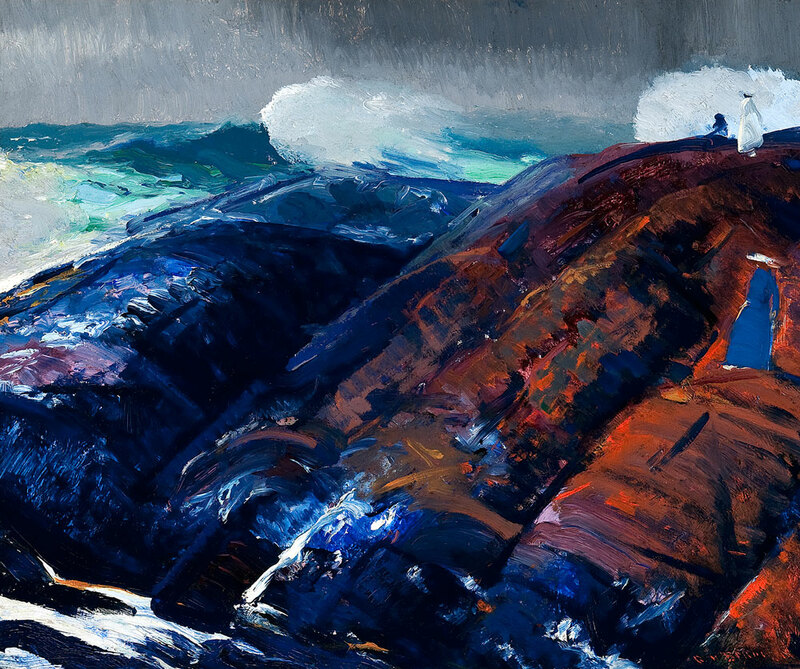 Including some 130 paintings, drawings, and lithographs, George Bellows will be on view in Washington from June 10 through October 8, 2012, then travel to The Metropolitan Museum of Art, New York, November 15, 2012, through February 18, 2013, and close at the Royal Academy of Arts, London, March 16 through June 9, 2013. The accompanying catalogue will document and define Bellows’ unique place in the history of American art and in the annals of modernism. 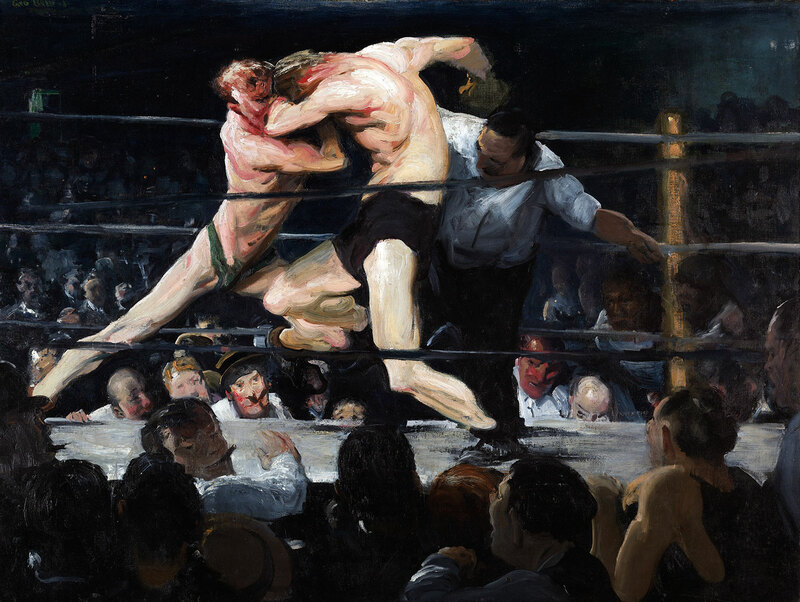 Mentored by Robert Henri, leader of the Ashcan School in New York in the early part of the 20th century, George Bellows (1882–1925) painted the world around him. He was also an accomplished graphic artist whose illustrations and lithographs addressed a wide array of social, religious, and political subjects. The full range of his remarkable artistic achievement is presented thematically and chronologically throughout nine rooms in the West Building. 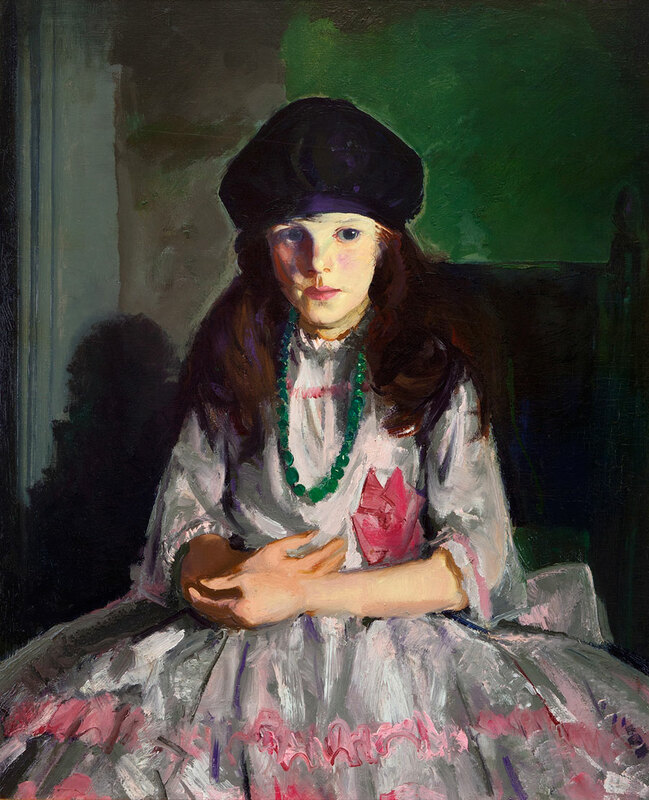 The exhibition begins with Bellows’ renowned paintings and drawings of tenement children and New York street scenes. These iconic images of the modern city were made during an extraordinary period of creativity for the artist that began shortly after he left his hometown of Columbus, Ohio, for New York in 1904. 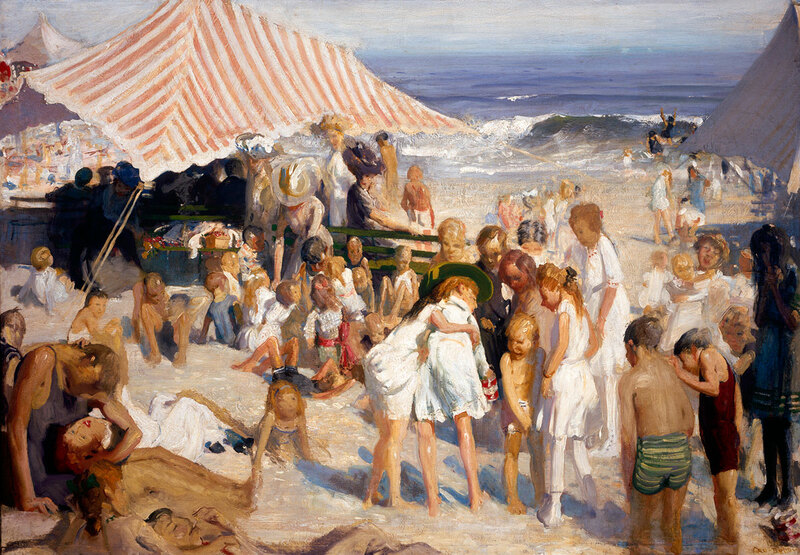 Encouraged by Henri, his teacher at the New York School of Art, Bellows sought out contemporary subjects that would challenge prevailing standards of taste, depicting the city’s impoverished immigrant population in River Rats (1906, private collection) and Forty-Two Kids (1907, Corcoran Gallery of Art). In addition to street scenes, Bellows painted more formal studio portraits of New York’s working poor. These startling, frank subjects – such as Paddy Flannigan (1908, Erving and Joyce Wolf) – reflect the artist’s profound understanding of the realist tradition of portraiture practiced by such masters as Diego Velázquez, Frans Hals, Edouard Manet, and James McNeill Whistler. 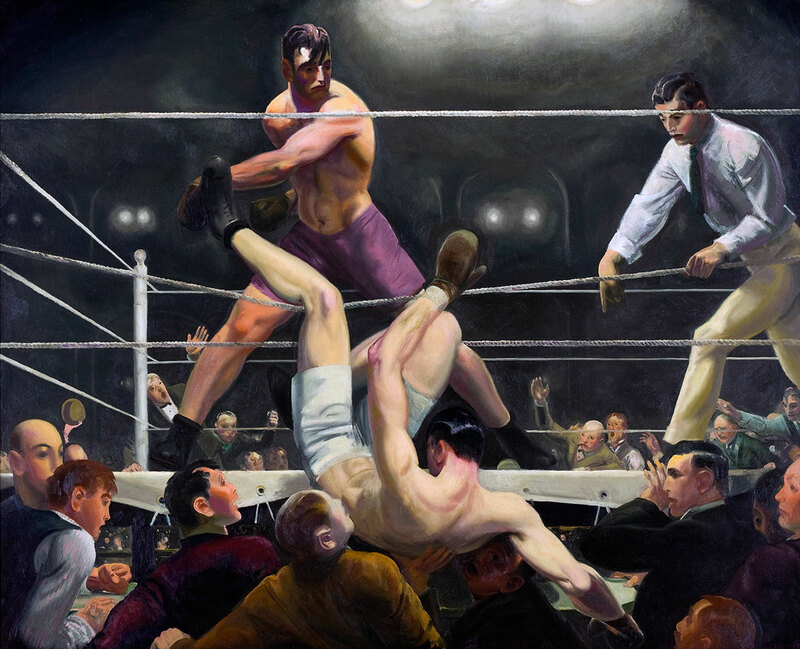 Bellows’ early boxing paintings chronicle brutal fights; to circumvent a state ban on public boxing, they were organized by private clubs in New York at that time. 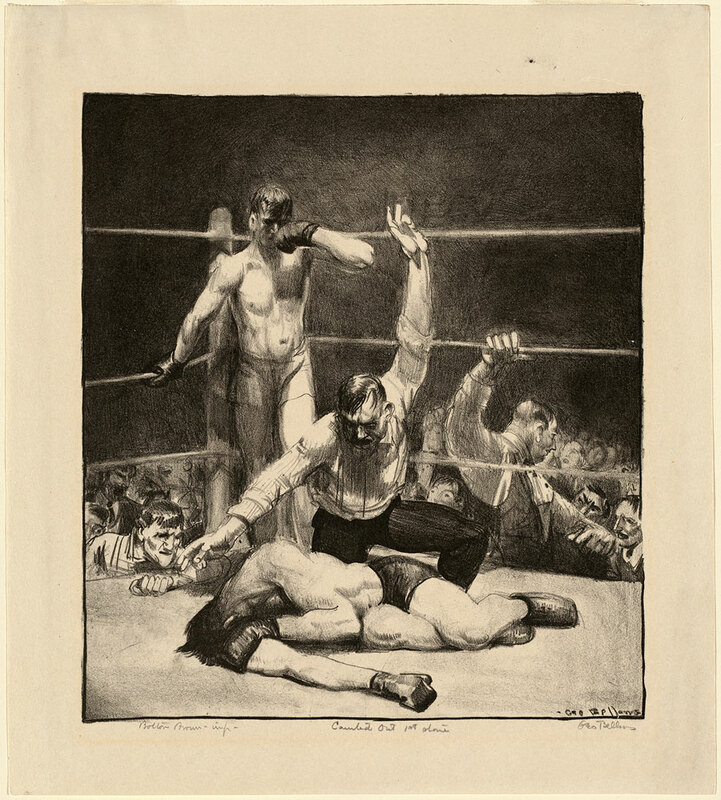 In his three acclaimed boxing masterpieces – Club Night (1907, National Gallery of Art), Stag at Sharkey’s (1909, Cleveland Museum of Art), and Both Members of This Club (1909, National Gallery of Art) – Bellows’ energetic, slashing brushwork matched the intensity and action of the fighters. These works will be on view together for the first time since 1982. 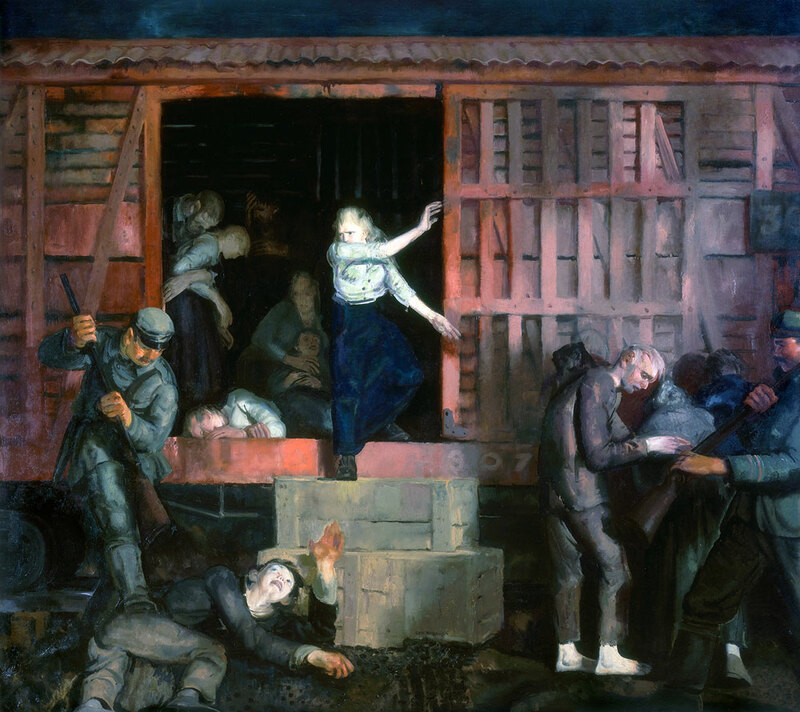 The series of four paintings Bellows devoted to the Manhattan excavation site for the Pennsylvania Railroad Station – a massive construction project that entailed razing two city blocks – focuses mainly on the subterranean pit in which workmen toiled. 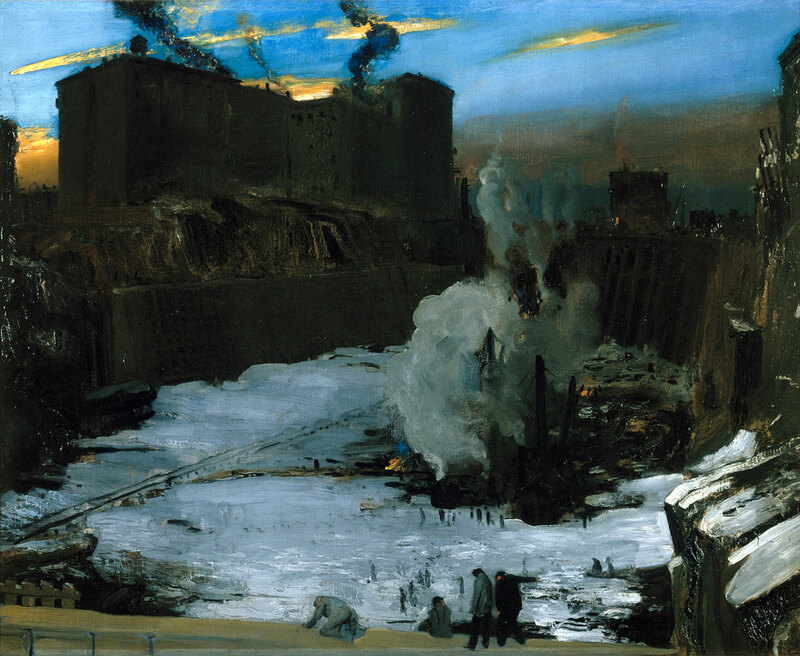 Never before exhibited together, these works range from a scene of the early construction site covered in snow in Pennsylvania Station Excavation (1909, Brooklyn Museum) to a view of the monumental station designed by McKim, Mead, and White coming to life in Blue Morning (1909, National Gallery of Art). 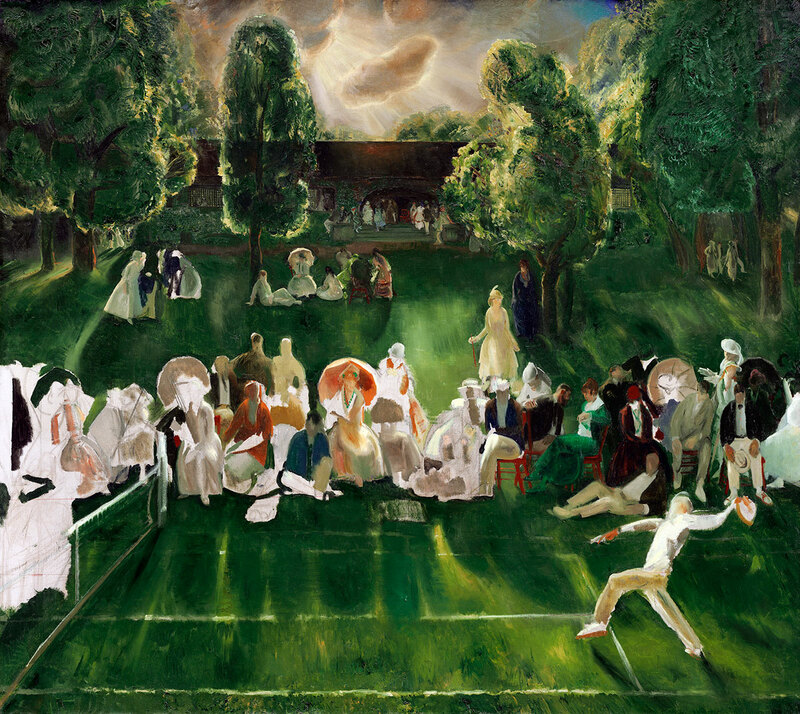 Bellows was fascinated with the full spectrum of life of the working and leisure classes in New York. 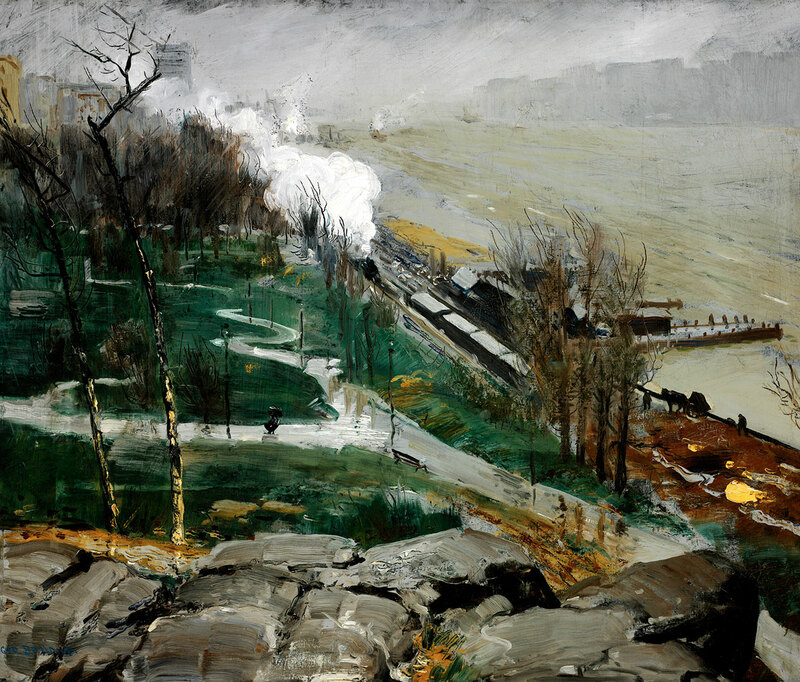 From dock workers to Easter fashions paraded in the park, he chronicled a variety of subjects and used an array of palettes and painting techniques, from the cool grays and thin strokes of Docks in Winter (1911, private collection) to the jewel-like, encrusted surfaces of Snow-Capped River (1911, Telfair Museum of Art). 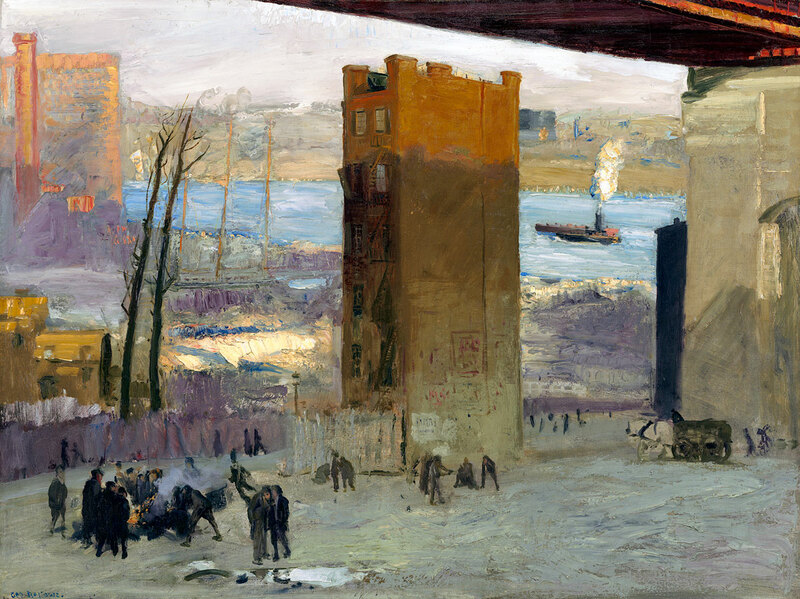 While Bellows portrayed the bustling downtown commercial district of Manhattan in his encyclopedic overview New York (1911, National Gallery of Art), he more often depicted the edges of the city near the shorelines of the Hudson and East Rivers in works such as The Lone Tenement (1909, National Gallery of Art) and Blue Snow, The Battery (1910, Columbus Museum of Art). 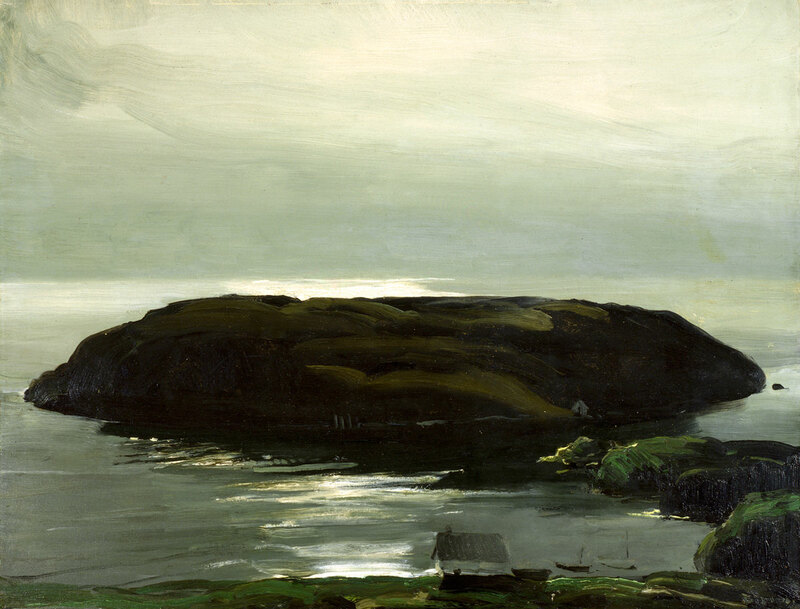 The artist visited Monhegan Island off the coast of Maine for the first time in 1911 and returned to Maine every summer from 1913 to 1916. In 1913 alone he created more than 100 outdoor studies. 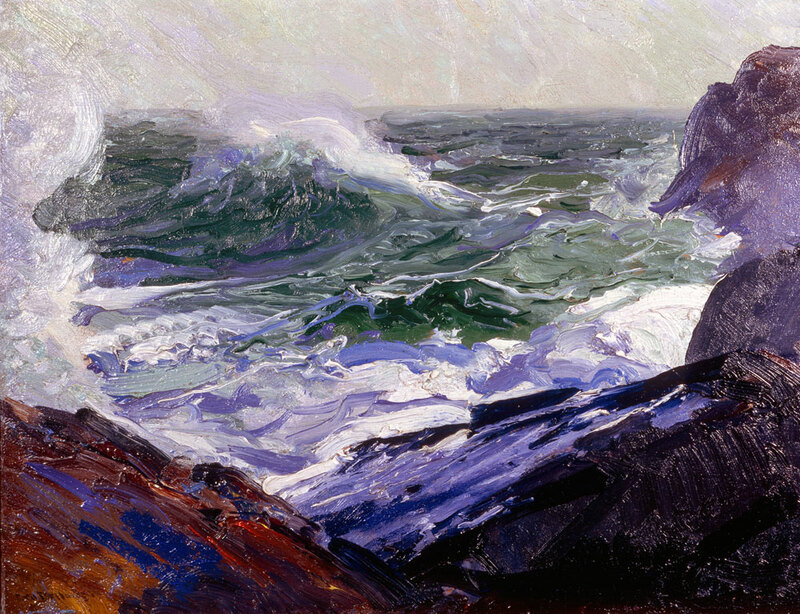 His seascapes account for half his entire output as a painter, with the majority done after the 1913 Armory Show. 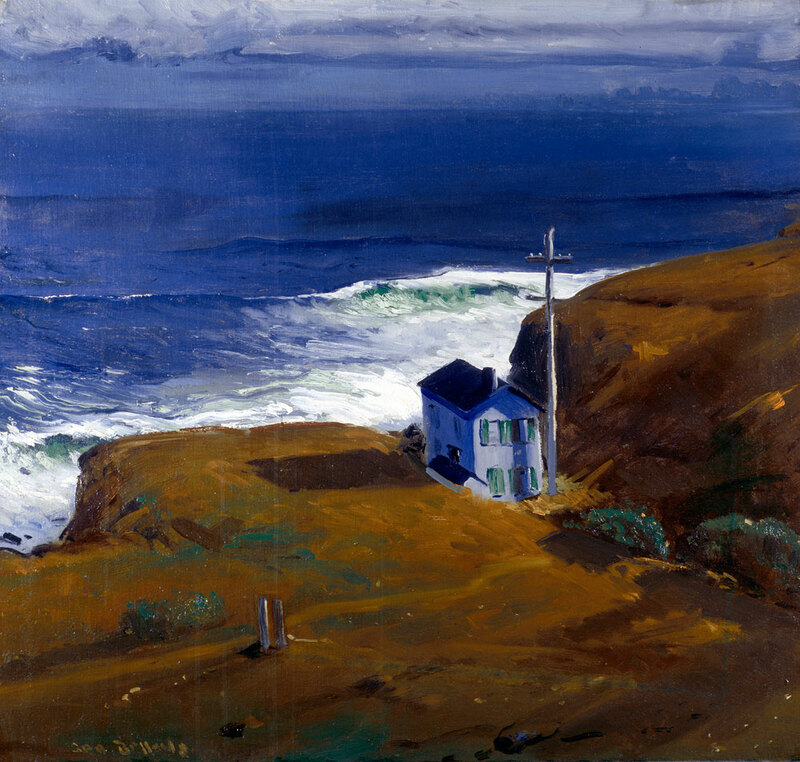 Shore House (1911, private collection) and The Big Dory (1913, New Britain Museum of American Art) are among Bellows’ most important seascapes and pay homage to his great American predecessor, Winslow Homer (1836–1910). In 1912 Bellows started working more consistently as an illustrator for popular periodicals such as Collier’s and Harper’s Weekly, and in 1913 for the socialist magazine The Masses. These illustration assignments led him to record new aspects of American life ranging from sporting events to religious revival meetings, as seen inThe Football Game (1912, Hirshhorn Museum and Sculpture Garden) and Preaching (Billy Sunday) (1915, Boston Public Library). Along with Bellows’ more affordable and widely available lithographs (he installed a printing press in his studio in 1916), the published illustrations broadened the audience for his work. 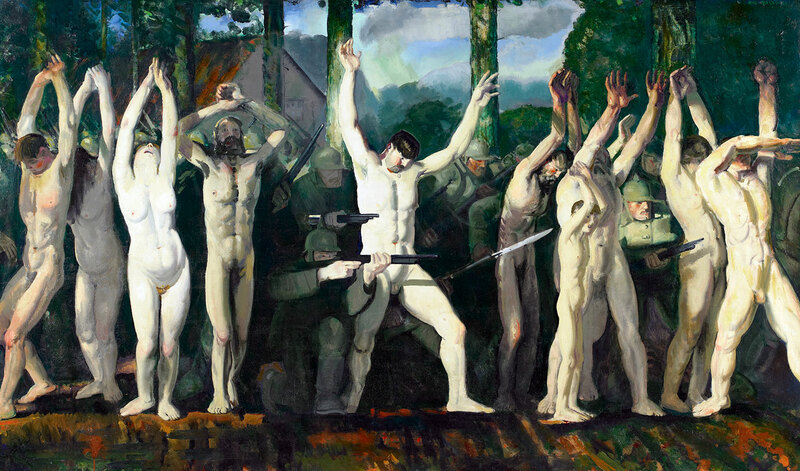 Bellows supported the United States’ entry into World War I, resulting in an outpouring of paintings, lithographs, and drawings in 1918. For this extensive series, he relied on the published accounts of German atrocities in Belgium found in the 1915 Bryce Committee Report commissioned by the British government. The paintings evoke the tradition of grand public history paintings, as seen in Massacre at Dinant (1918, Greenville County Museum of Art), while the drawings and lithographs recall Francisco de Goya’s 18th-century print series The Disasters of War. Bellows’ late works on paper survey modern American life, from the prisons of Georgia to the tennis courts of Newport, and highlight complex relationships between his various media. Taken from direct experience as well as fictional accounts, they range in tone from lightly satirical and humorous (Business-Men’s Bath, 1923, Boston Public Library) to profoundly disturbing and tragic (The Law Is Too Slow, 1922-1923, Boston Public Library). 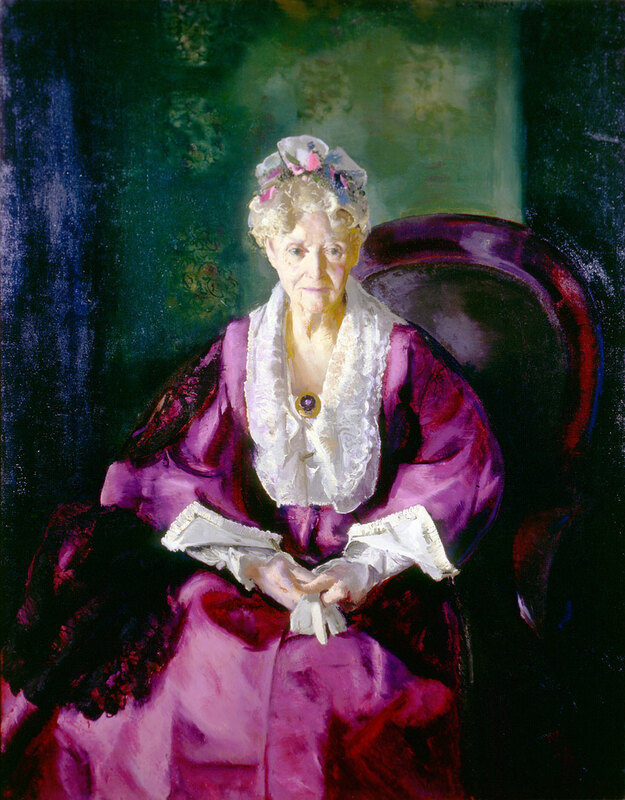 In Emma at the Piano (1914, Chrysler Museum of Art), Bellows depicts his wife and lifelong artistic muse. His portraits of women constitute a larger body of work than his more famous boxing paintings. They cover all stages of life and include both the naive, youthful Madeline Davis (1914, Lowell and Sandra Mintz) and the more refined, matronly Mrs. T in Wine Silk (1919, Cedarhurst Center for the Arts). Birmingham Museum of Art, Museum purchase with funds provided by the Harold and Regina Simon Fund, the Friends of American Art, Margaret Gresham Livingston, and Crawford L. Taylor, Jr. 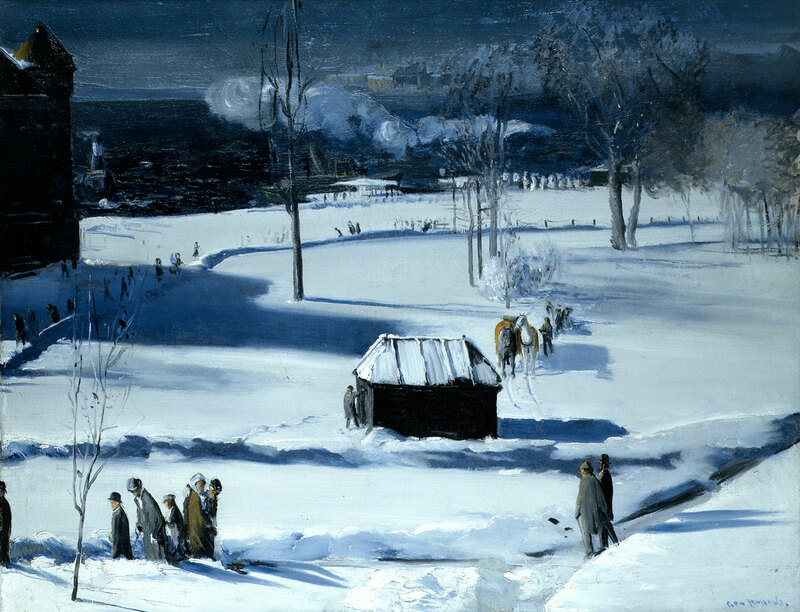 Throughout his childhood in Columbus, Ohio, George Bellows divided much of his time between sports and art. While attending Ohio State University, he created illustrations for the school yearbook and played varsity baseball and basketball. After college Bellows rejected an offer for a professional athletic career with the Cincinnati Reds baseball team, instead pursuing a career as an artist. 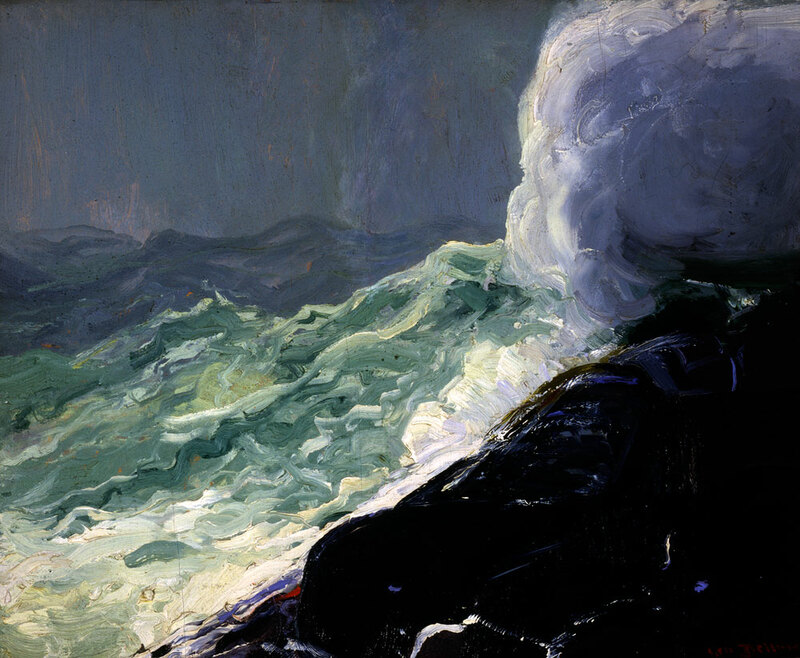 In opposition to his father’s wishes, Bellows enrolled in the New York School of Art in 1904. 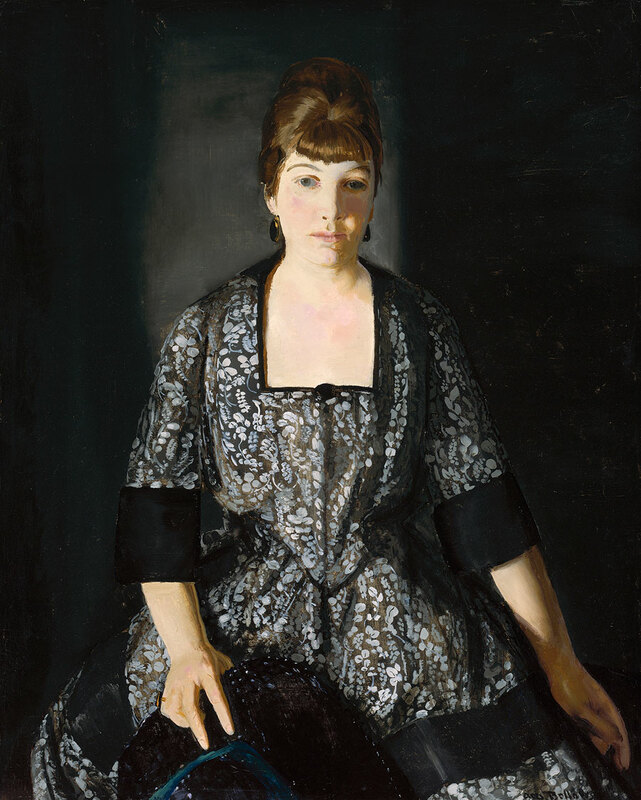 There Bellows elected to study not with the popular and flamboyant William Merritt Chase, but rather with the unorthodox realist Robert Henri. 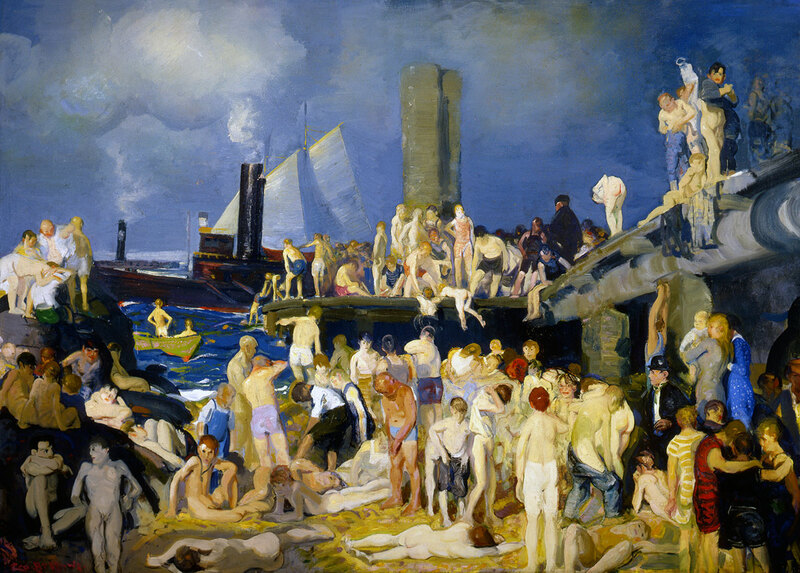 Henri led a radical group of artists, including John Sloan and William Glackens, who exhibited under the name “The Eight.” Although Bellows was elected to the National Academy of Design, he rejected the superficial portrayal of everyday life promoted by the academies. Instead he and his colleagues emphasized the existing social conditions of the early twentieth century, especially in New York. 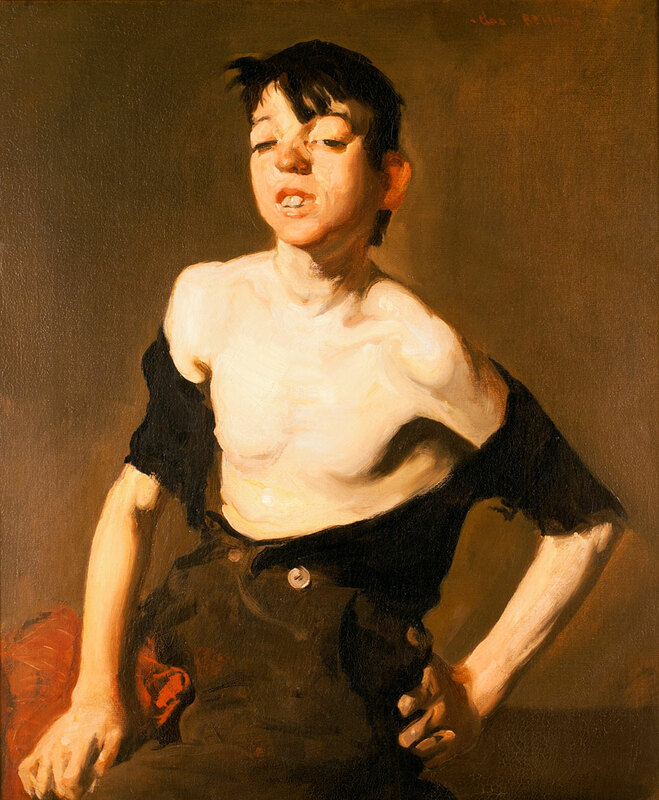 Because their subjects were considered crude and at times even vulgar, critics dubbed them the Ashcan school. Bellows never became an official member of The Eight, but his choice of subjects – docks, street scenes, and prizefights – were typical of the group. 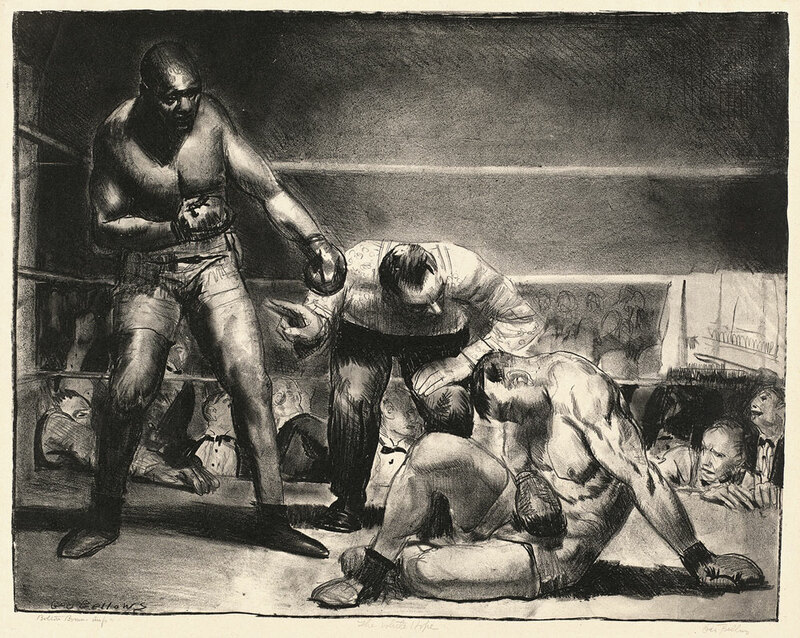 Unlike the members of The Eight, Bellows’ enjoyed popular success during his lifetime, particularly with the boxing images that demonstrate his passionate interest in sports and a bold understanding of the human figure. Monday – Saturday 10:00 a.m. – 5:00 p.m.